Singapore is an extraordinary city. It has so many things that make it stand uniquely apart from other South East Asian countries: English as the national language, awesome public transportation, and public parks. It’s an ex-pat’s sanctuary. Perhaps one of the most unique things about it in comparison to its neighbors is the stunning variety of food and drink. 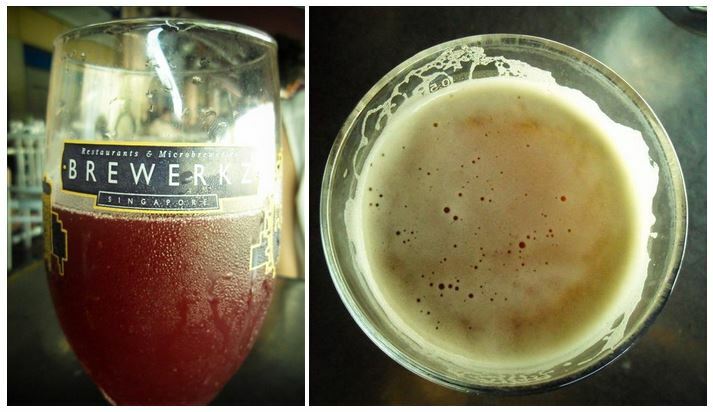 Beer comes in many tasty varieties from a range of Singaporean microbreweries. However, this golden nectar of the gods can come at a steep price with a SIN tax attached. SIN being short for Singapore; alcohol serving licenses aren’t cheap, and so nor will be the alcohol served. But,the thirsty traveler on a budget need not worry. With a little planning ahead you can hit the microbreweries at their prime: Happy Hour. First, do not underestimate the value of a good pre-gaming beer. It may seem a little juvenile, but channel your college freshman year self and throw a couple back before you go out. Hell, you’re on vacation! Picking up 2 triple packs of Hoegaarrden at the Duty Free shop in the airport was key to our saving. It’s much cheaper than even the local grocery stores and lasted us our 3 day stay. Each person is allowed 2 triple packs, so the bigger your group the bigger your savings. Choosing hard alcohol or wine would also be a good call. 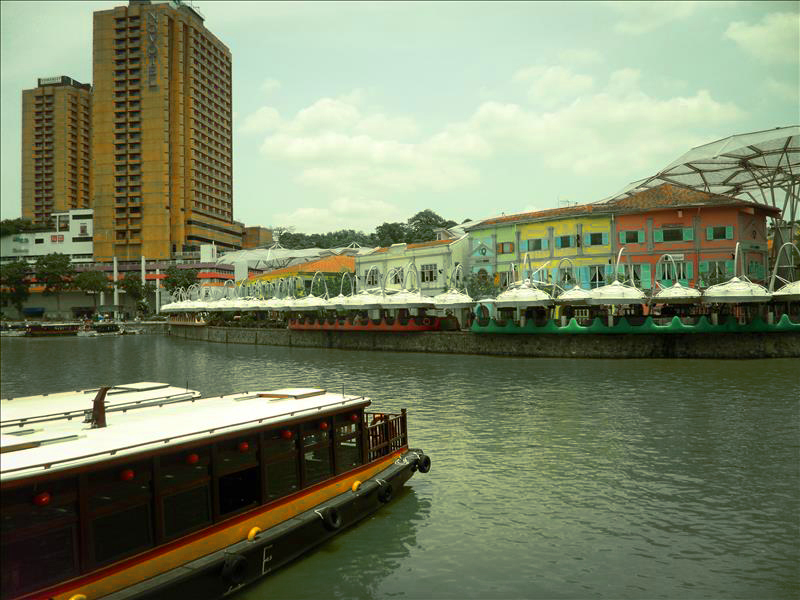 I chose Clarke Quay as my location of choice for some liquid lunch; an area famous for it’s laid back riverside atmosphere, and delicious cuisine. A little TripAdvisor research led me to target certain microbreweries for their price range. 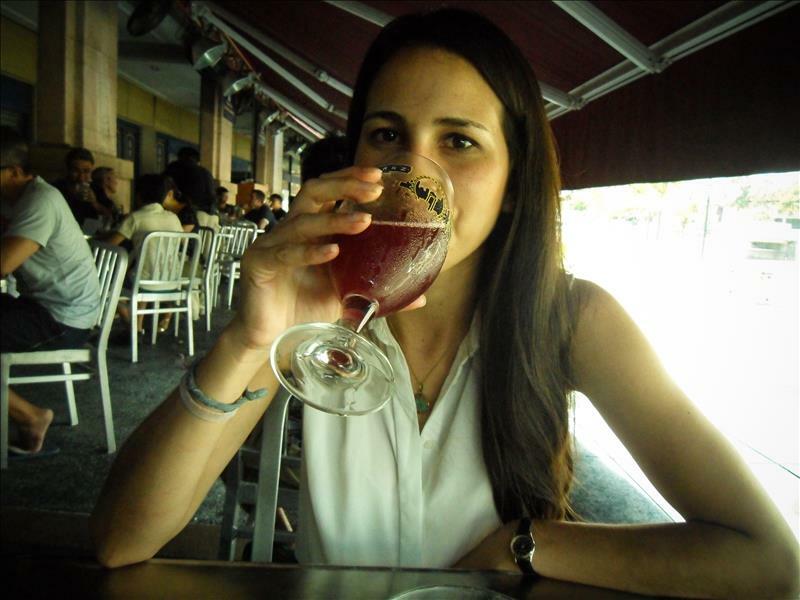 Most of the breweries have websites, so after a few clicks I found out the best happy hours. 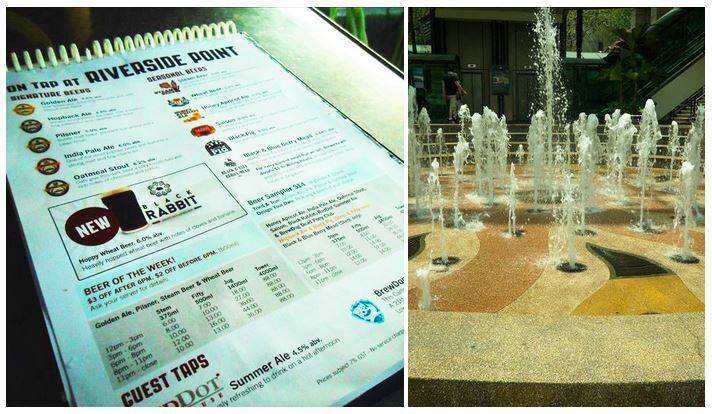 Virtually all bars and restaurants here have competitive Happy Hour deals to draw you in. Happy Hour at Brewerkz microbrewery starts at 12 and goes until 6 pm yielding amazing steals for their craft brews that actually change at 3pm, so you can try different things. I initially planned to start off at this place before heading to others, but it was so good I ended up staying all afternoon. I’d recommend starting with a sampler of the beers on special and then choosing a pitcher to split (or not). Singapore may be one of the only South East Asian countries to offer IPA (India Pale Ale) which as a former Santa Barbara resident, I love. I’d also recommend the Oatmeal Stout. (yes, my beer preferences are a bit ‘manly’). I did splurge on a glass of Black and Blueberry Mead partially because as a Game of Thrones fan, I wanted to taste the type of alcohol that is always present at the medieval feasts in the books. It was good, tasting like a yeasty berry punch and packing an 8.44% kick. There are also tons of nightly specials depending on the day. I saw a flyer at another place for a Margarita Monday free flow for $25 which is basically the same price as one cocktail at most other places. This site lists most major cocktail happy hours and was great for research. As a humble ESL teaching ex-pat, traveling on a budget is important, and in many cases with a little planning, you don’t need to sacrifice your travel experiences in order to stay within a moderate price range.